When you decide that your teenage son need help from a residential treatment center, you should not have to choose between top-notch therapy and his academics. Liahona Academy prides itself on being able to give your troubled son the help he needs in all aspects of his life. While many residential treatment centers have an academic component to their program, not all are accredited. Without the restriction of accreditation, your son may receive substandard to nonexistent education. Should you want to transition your son back into the public or private school system, he will have a difficult time and may have to repeat a grade because he did not receive the credit he needed. Liahona Academy is an accredited through AdvanceED, so your son will receive a high school diploma, not a G.E.D. Or, if you choose, his credits will transfer back to his high school. Because we are an accredited education program, we employ 8 Utah state-licensed teachers as well as 4 certified tutors. With the small class sizes and the quality educational professional, you son will receive the attention he needs to succeed. 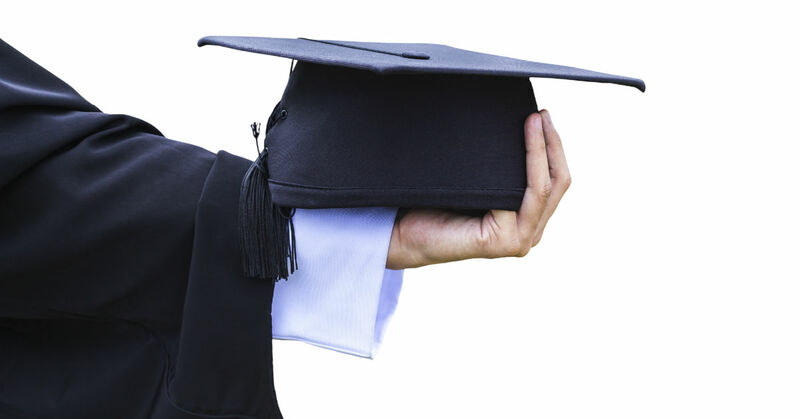 Why A High School Diploma Is Better Than A G.E.D. Face stigma when looking for employment - There is an implication that a holder of a G.E.D. was not willing to put in the time for a high school diploma. This can result in the G.E.D. holder earning less money than someone with a high school diploma or even being turned down for employment for someone who does have their diploma. Can make college applications difficult - Some colleges require additional placement testing if you have a G.E.D. and some may only have limited space available for students which have a G.E.D. Liahona Academy understands the difficulties G.E.D. holders face, which is why we put an emphasis on education and making sure our graduating students receive a high school diploma. A number of our students at Liahona Academy struggled academically because their academic needs were not being met in their regular schools. This is understandable as the American public school system is notoriously underfunded and unable to field enough educators to teach students properly. The lack becomes even more apparent if your son has a 504 plan or individualized education plan (IEP). As a private academy, we have the resources to correctly provide for your son’s academic needs. We have been able to accommodate both IEPs and 504 plans, with our staff able and willing to formulate an IEP should your son need one. By the time many of our students reach us, they have damaged their academic standing. Multiple Fs and other poor grades could mean your son would have to repeat a grade in the public school system. One of the academic aspects we focus on here at Liahona Academy is academic recovery. We will request your son’s transcripts from his previous school to gain a clear understanding of his academic standing. If he has any poor grades, we will work with him to redo the classes, working with him so he understands the work and succeeds. That way, his grades will be repaired by the time he leaves our program. When traditional therapy fails to help a troubled teen boy improve it is not necessarily because therapy wasn’t the right choice. However, your son may need a more intensive blend of academics and therapy, after being completely removed from negative influences. Since our academics zero in on core subjects such as English, math, history, and other key topics, we can compress our academic time into a 4-hour period. But before your son sits down in a classroom, he will have already had a therapy session, engaged in a group program, and performed some chores. Many teenage boys find sitting for hours difficult, so we have found a good blend of physical exertion and therapy helps our students settle into their lessons. If you feel like Liahona Academy is the right residential treatment center for your son’s needs, then feel free to contact us today. We are ready to help him back onto the path to success and have all the tools we need to do so.